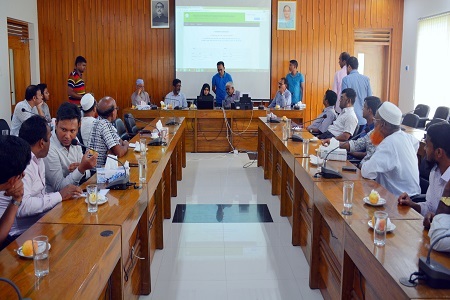 The online application submission for the first year Bachelor of Science in Engineering (BSc Eng), Bachelor of Urban and Regional Planning (BURP) and Bachelor of Architecture (BArch) courses admission of 2018-19 academic session of Khulna University of Engineering and Technology (KUET) started on 13 September 2018 (Thursday). 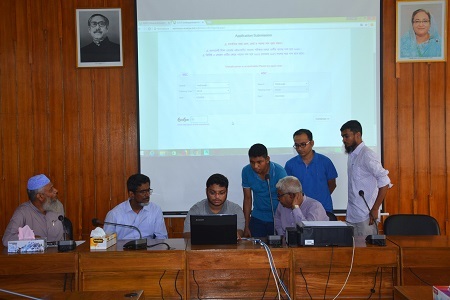 Vice-Chancellor of KUET, Prof. Dr. Quazi Sazzad Hossain inaugurated the online application submission at KUET meeting room at 10 AM. 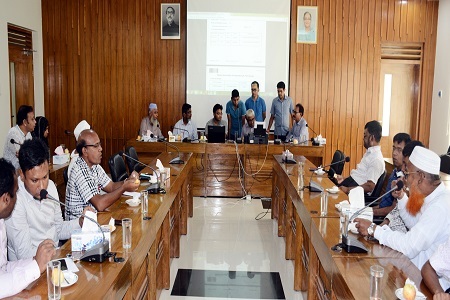 Among others, Chairman of the Admission Test committee for 2018-19 session and Dean of the Faculty of Civil Engineering, Prof. Dr. Quazi Hamidul Bari; Director of IICT, Prof. Dr. Bashudeb Chandra Ghosh; Registrar, G M Shahidul Alam; Departmental Heads, Members of the Admission Test committee for 2018-19 session, other teachers and officers related to the online registration process were present in the function. 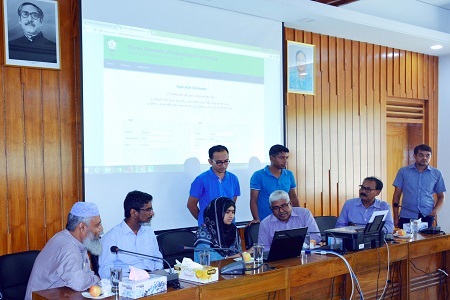 The online application will be continued till 23 September 2018. The list of qualified applicants of the admission test will be displayed on 11 October 2018 at KUET website. The Admission Test will be held on 27 October 2018 (Saturday) from 10:00 AM to 12:30 PM. 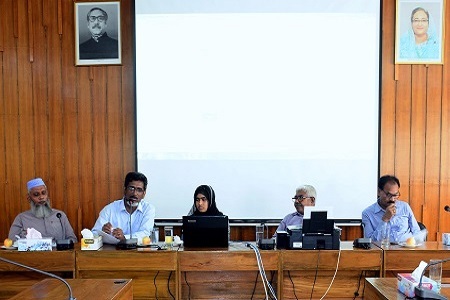 In the academic session 2018-2019 this year, a total of 1065 students will be admitted in 16 Departments including 120 seats for Civil Engineering (CE), 120 seats for Electrical and Electronic Engineering (EEE), 120 seats for Mechanical Engineering (ME), 120 seats for Computer Science and Engineering (CSE), 60 seats for Electronics and Communication Engineering (ECE), 60 seats for Industrial and Production Engineering (IPE), 30 seats for Energy Science and Engineering (ESE), 30 seats for Biomedical Engineering (BME), 60 seats for Urban and Regional Planning (URP), 60 seats for Leather Engineering (LE), 60 Seats for Textile Engineering (TE), 60 seats for Building Engineering and Construction Management (BECM), 40 seats for Architecture (BArch), 60 seats for Materials Science and Engineering (MSE), 30 seats for Chemical Engineering (ChE), 30 seats for Mechatronics Engineering (MtE), with 5 reserved seats. 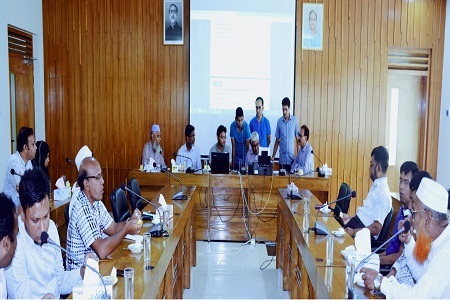 For any query about the admission test one may also e-mail at admission@kuet.ac.bd if they face any problem.